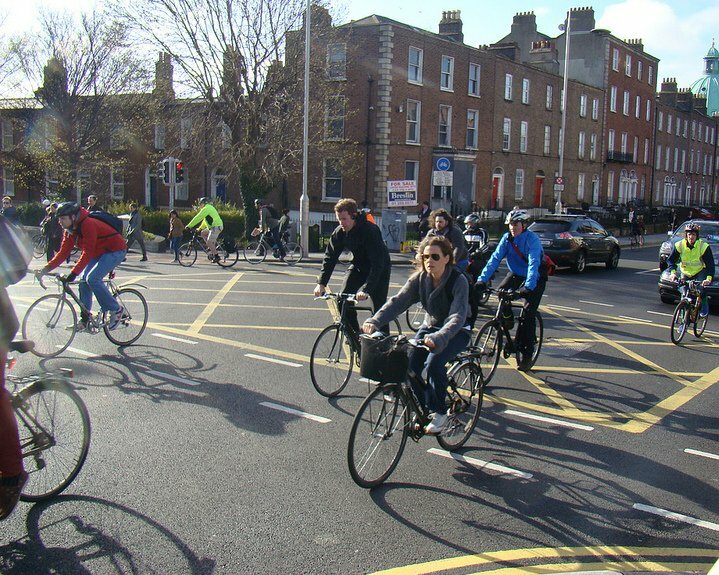 Dublin City councillor Ciarán Cuffe (Green Party) has criticised “a lack of vision and drive” to move plans for cycling in the capital forward. Cuffe, a former junior minister for transport, is now the incoming chair of Dublin City Council’s Strategic policy committee on transport. “This requires state-of-the art-facilities that are well designed and maintained. I understand the concerns of those who complain about cyclists on the footpaths, but the response has to include safer facilities for cyclists on public roads,” added Cuffe. He said the issues he will prioritise on the transport committee includes: reducing the amount of one way streets that carry several lanes of traffic; introducing contra-flow cycle lanes in key locations such as Upper Camden Street, Stephen’s Green and Parnell Square; and reducing the timing cycle length of traffic signals to prioritise cyclists and pedestrians. He is also focused on building quality cycle facilities on the Liffey Quays and along the Rivers Tolka and Dodder as well as continuing the works at the Grand and Royal Canal, and the Sutton to Sandycove Project. These better not be more empty words from a politician. Ciaran has the best intention but one this issue maybe in quite a minority in the council. Other councillors need to be put under pressure to support these plans. Those of us who already use the bicycle, despite the poor facilities, to get about the city already know this is worth doing. People who haven’t considered cycling or who are reluctant due to the lack of safe infrastructure, may not know that they need this right now, but if it’s built they will in a better decision. Safe cycling should be accessible for everybody from 8 to 80 in our city.